“In 1855, England and France were at war with Russia in the Crimea. The English troops were paid in gold once a month $25, 000 in gold was loaded into strongboxes inside the London bank of Huddleston and Bradford and taken by trusted armed guards to the railway station. The convoy followed in fixed route of timetable. … The presence of so much gold in one place aroused the interested of the English criminal elements, but in 1855 there had never been a robbery from a moving railway train...”. That is the prologue of the fourth film directed by the prolific writer/ screenwriter / director / film producer Michael Crichton (“Westworld” (1973) ; “Coma” (1978) ; “Rising Sun” (1993)). 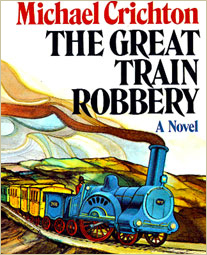 This is also the first time that he wrote himself the film adaptation for the screen from one of his bestselling novel “The Great Train Robbery” (1975) based on a true story. 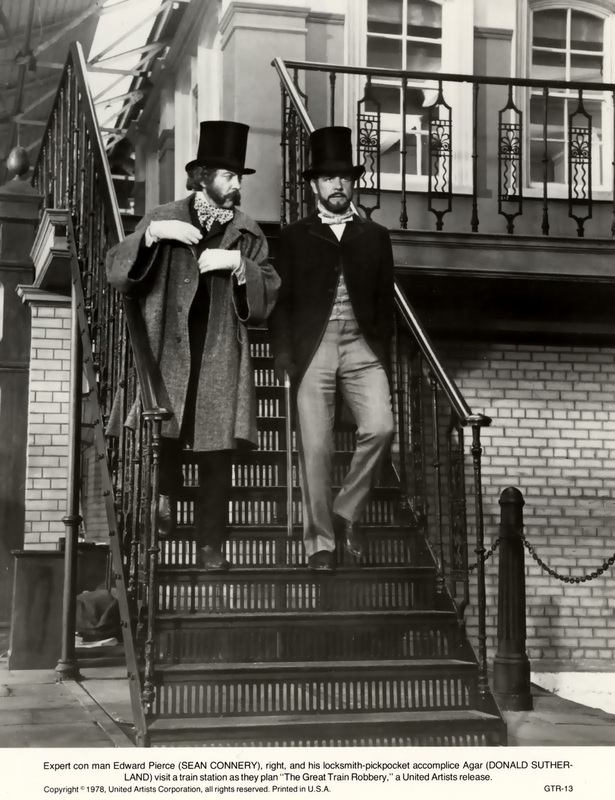 Still today, it is very surprising that the writer of so many anticipation novels like “Jurassic Park” was interested in exploring the wonderfully grungy Dickensian world. In any case, he succeeded very well as both screenwriter and director. I only regret that he didn’t write a sequel to this story. 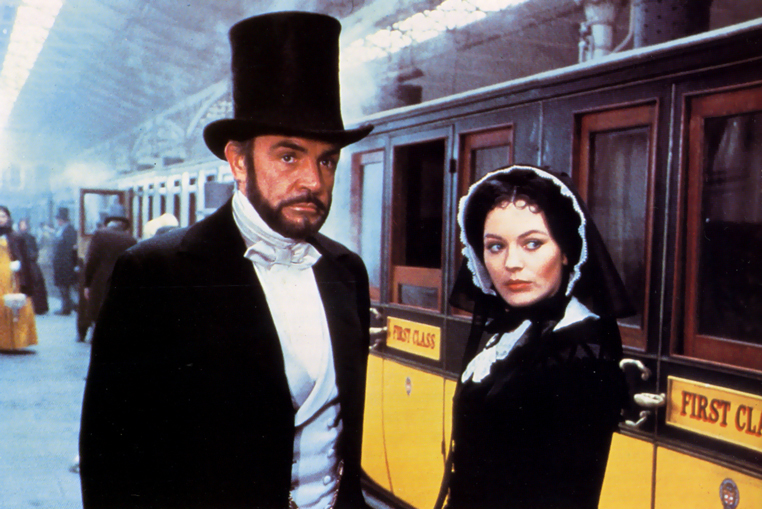 “The Great Train…” remains one of the most ironic, funniest and vivid heroic adventure film which took place in the glorious Victorian period of the British history. That’s why, it is one of my favorite movies. 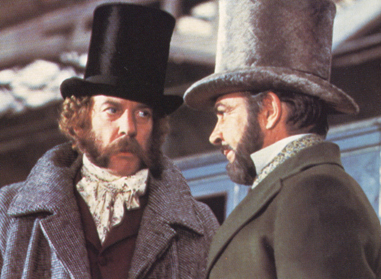 In 1978, Crichton and the producer Carl Foreman (“The Man Who would Be King” 1972 / See the topic) asked to the famous Scottish origin actor, Sir Sean Connery to portray Edward Pierce the aristocratic clever leader of the team thieves. 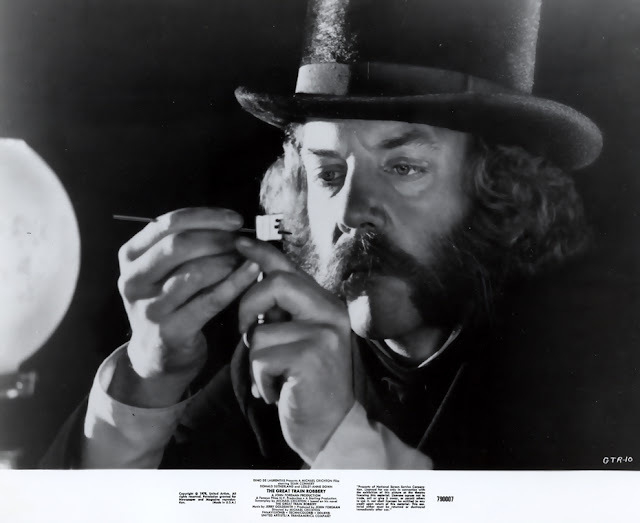 He was joined by the very popular and respected Donald Sutherland (“M.A.S.H.” (1970), “Don’t Look Now” (1973), “Eye of The Needle” (1978)) for the part of Agar, the expert “screwsman”. To Portray, Ms Miriam, the first choice of the producers was the distinguished Jacqueline Bisset but it was the talented Lesley-Anne Down (“Hanover Street” (1979), “Rough Cut” (1980) and “Nomads” (1986)) who obtained the part. For the gorgeous British actress, this movie was one of her greatest part on the big screen before “Sphinx” (1981). 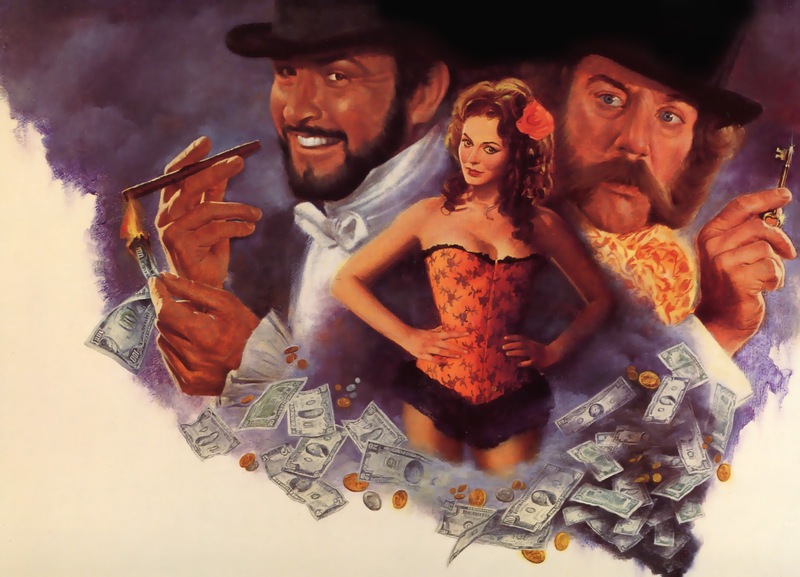 With the help of the famous Italian producer, Dino De Laurentis and United Artist Studios, Foreman gathered $6 millions to complete the budget of the movie. The Acclaimed Geoffrey Unsworth, the legendary cinematographer (“2001: A Space Odyssey” (1968), “Cromwell” (1970) and “Tess” (1979)), the great production designer Maurice Carter (“Becket” (1964), “Battle of Britain” (1969)) and the talented costume designer Anthony Mendleson (“Billy Budd” (1962),”The Long Ships” (1964), “The Boys from Brazil” 1978)) were choosen by the producers. 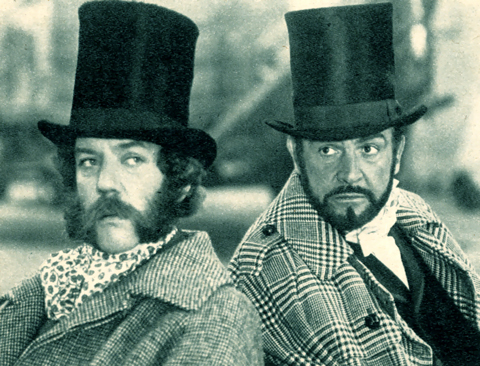 The film was shot mostly on location in Ireland and at London’s spacious Pinewood Studios. 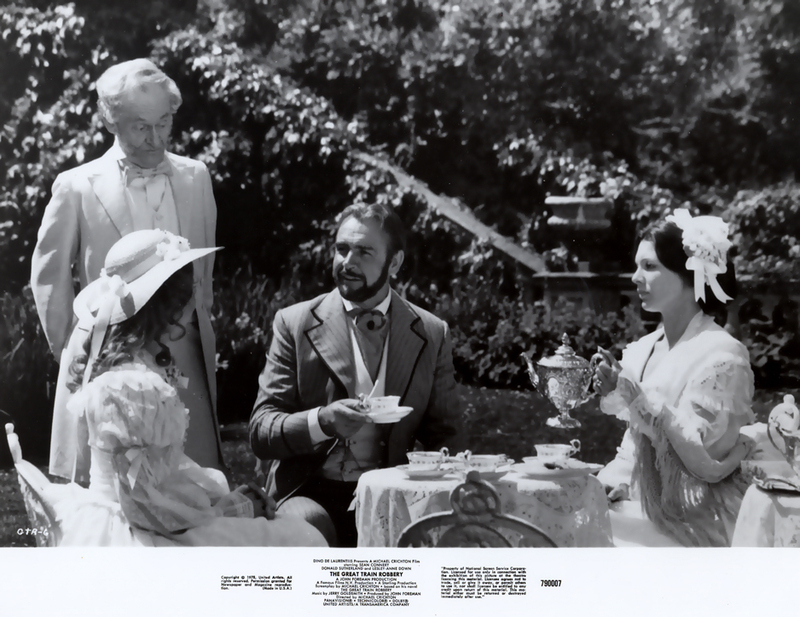 It was photographed in Panavision / Technicolor and was one of the first movies recorded in Dolby Stereophonic sound. 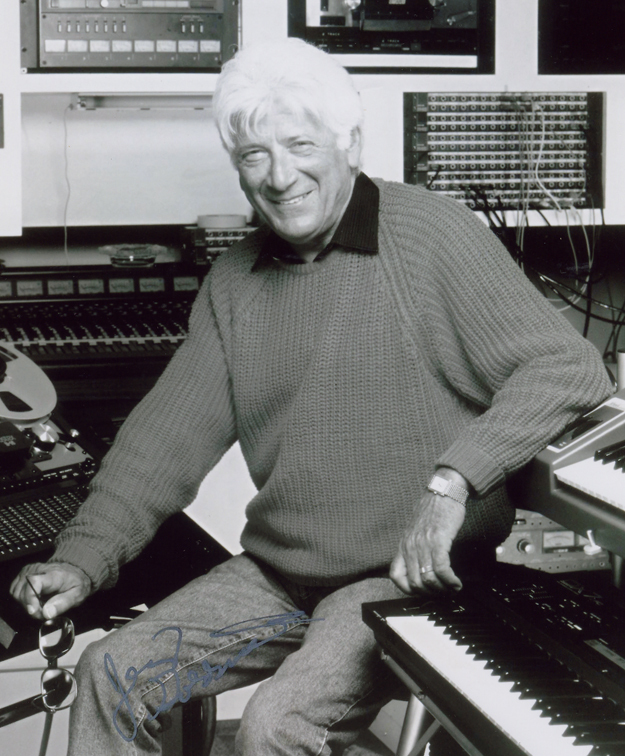 The prolific and legendary American composer, Jerry Goldsmith, wrote the score. Four times, he worked with Michael Crichton and “The Great Train…” marked their third collaboration (“Pursuit” / “Binary” (1972), “Coma” (1978) and “Runaway” (1984)). Also, special mentions must be given to his old friend and collaborator, the orchestrator Arthur Morton and to the National Symphony Orchestra that performed the whole musical score at its best. 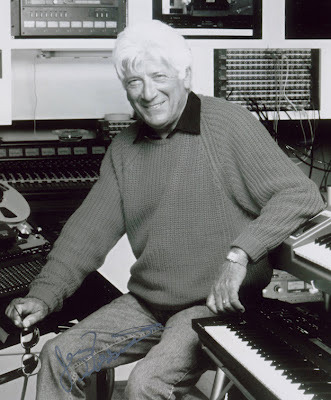 Without any doubt, Jerry Goldsmith took a very great pleasure to work on that film. For those who could be interested, in 2011, the Intrada label produced a new CD album which contains the complete original score with the original 1979 soundtrack Album. “No respectable gentleman is that respectable”. 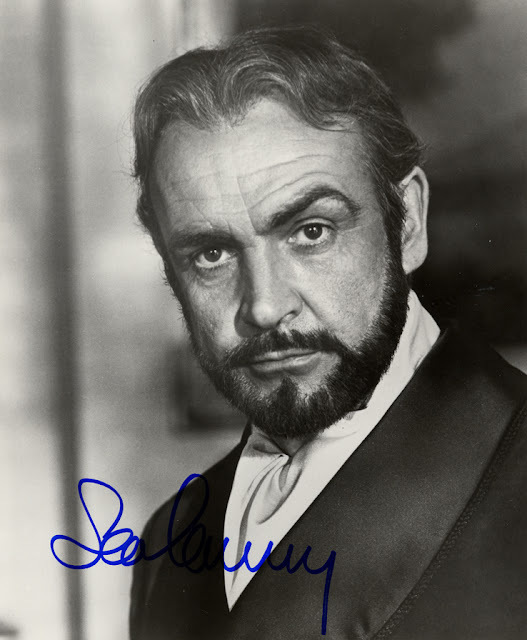 Once again, Sir Sean Connery gave an outstanding performance. He worked very carefully with the director Michael Crichton to improve the script before the shooting. He was so involved in the movie that he decided to perform himself most of the stunts and especially for the extended sequence on top of the moving train. A great performance, for a man who was just about his fifties ! 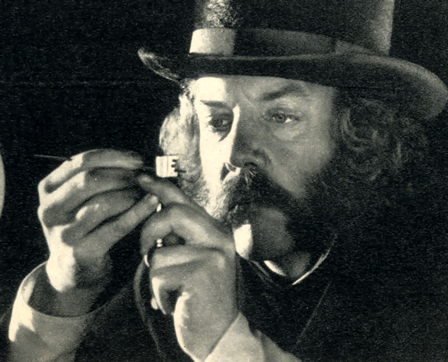 Donald Sutherland gave also a very funny and perfect performance in the part of Agar, the expert at the picking pocket and locks. In this movie, he was a very fine accomplice to Connery’s character with a great sense of humor. 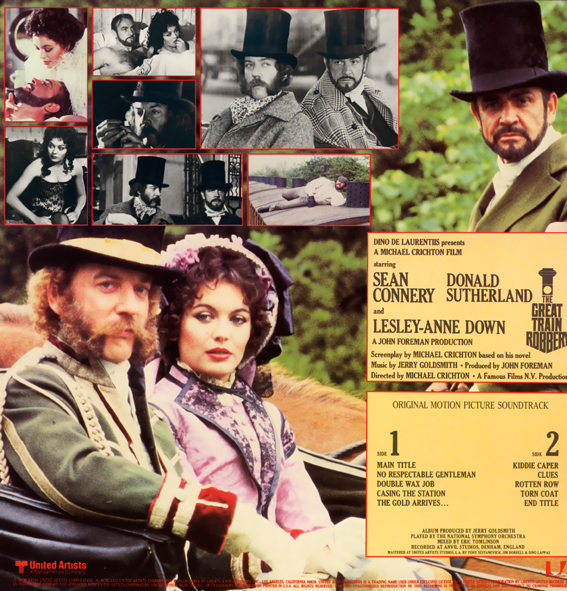 For her first major role, Lesley-Anne Down gave a very elegant and delicate performance. 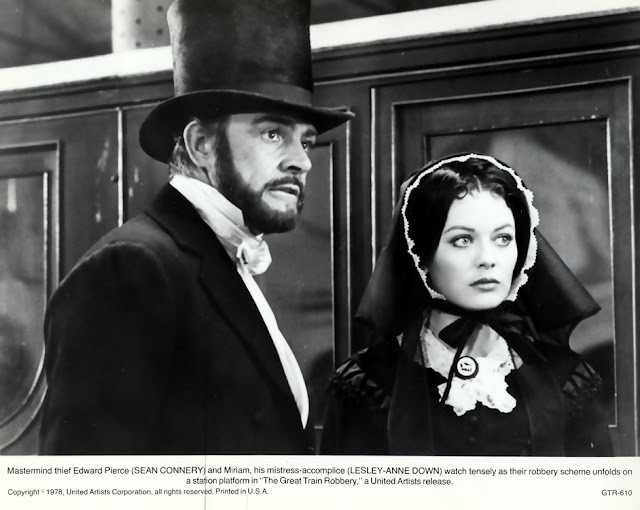 Face to the two other leading roles, she succeeded to play the Edward Pierce’s mistress (Sean Connery) with a lot of humor and sensuality. Probably, with “Sphinx”, “The Great Train…” is her best part and she remains, with the Bond girls, one of the sexiest ladies ever to share the screen with Connery. The Crichton’s movie received very good responses from the critics but not from the audience. 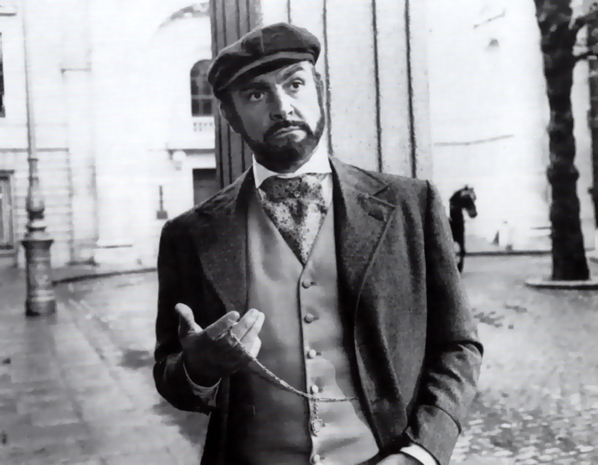 Despite his colossal efforts, Sir Sean Connery was very disappointed by the bad results to the US box-office (less than $5 millions) and, at the time, he told that the United Artist studios didn’t support the movie as it should have deserved with a very a large and aggressive advertising campaign. Finally, the producers won more than $12 millions ! In 1980, Michael Crichton won the Edgar Award (Edgar Allan Poe Award) for Best Motion Picture Screenplay and Geoffrey Unsworth, earned a BAFTA nomination for best cinematography. In respect to his memory, the producers decided to dedicate the film to the great British cameraman, Geoffrey Unsworth, who died a couple of months after the ending of the shooting. “The Great Train Robbery” remains a very good picture and I regard it as a masterpiece of fun and excitement entertainment with a lot of suspense. It makes me to think about another fine hold up movie : “Jules Dassin’s Topkapi”. “The (First) Great Train Robbery” by Michael Crichton (in English) ; 1975 ; Knopf, New York ; Or Triad Panther Edition (Paperback), USA. “Un Train d’or pour la Crimée” by Michael Crichton (In French) ; 1999 ; Pocket Edition, France. 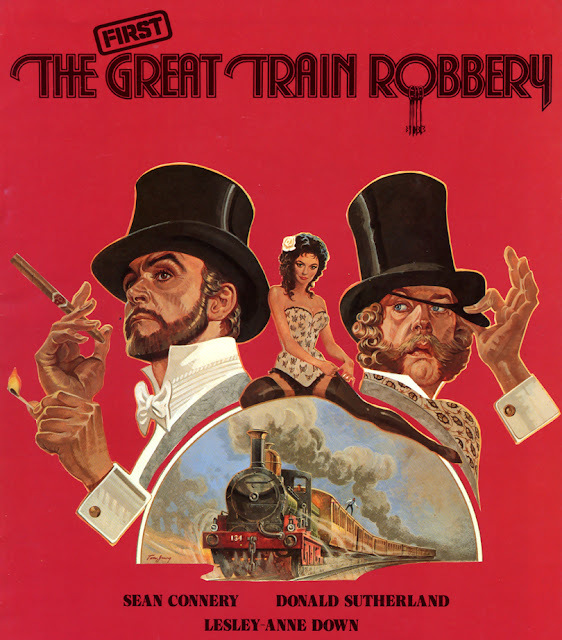 “The (First) Great Train Robbery” , the UK Exhibitor’s Campaign Book (In English) ; 1979 ; United Artist Corporation Ltd, London, UK. “The Films of Sean Connery” by Lee Pfeiffer and Philip Lisa (In English) ; 1997 ; Citadel Press Book, USA. “Sean Connery : The Measure of Man” Christopher Bray (In English) ; 2010 ; Faber and Faber, UK. “The (First) Great Train Robbery” by Michael Crichton ; 2001 ; MGM/UA - US DVD Zone 1 ; Ref. N°907149 ; Widescreen Edition with an audio Commentary by M. Crichton.